A three double bedroom duplex garden apartment with large open plan living and dining space, separate kitchen, two bathrooms (one en-suite)), downstairs WC and allocated parking. Situated close to the heart of West Didsbury, the apartment is offered unfurnished and is available immediately. A 6th floor two double bedroom, two bathroom apartment with balcony in the Hub development. Situated immediately close to the universities and Piccadilly Station, the apartment is furnished and available immediately. A well presented two double bedroom, two bathroom apartment situated on the 15th floor of the newly built Rivergate development on Ordsall Lane. The property is offered furnished, with allocated parking and is available from 16th June. A character one bedroom, fourth floor apartment with secure parking in the Royal Mills development, situated off Great Ancoats Street at the back of the Northern Quarter. Property comes furnished and is available from 7th March. A spacious two bedroom, two bathroom apartment offering contemporary living in the Rivergate development, close to the city centre and Salford Quays the property is offered unfurnished with parking and is available from 04/06. A fantastic 9th floor apartment situated in the ever so popular Rivergate development, the property offers contemporary living with a large open plan living area with a high specification fitted kitchen, good sized balcony featuring extensive city views, two double bedrooms and two bathrooms. 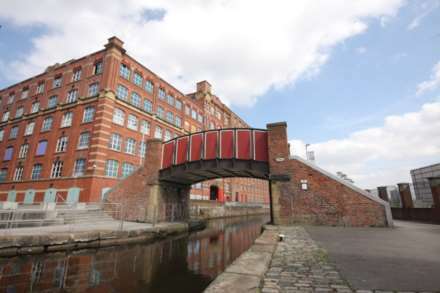 A two double bedroom, two bathroom apartment with Castlefield basin views and secure parking. Situated next to Deansgate/Castlefield station, the apartment is furnished and available from 22/04. A fourth floor, two double bedroom, two bathroom apartment offered with a secure parking in the newly built Wilburn basin development. The property is situated with easy access into the city centre and Salford quays and is available unfurnished immediately. An exceptional two bedroom, two bath top floor apartment, within a stunning converted Victorian paper mill, which has also been furnished to a high spec by an interior designer. A contemporary two bedroom, two bathroom apartment located on the eighth floor of the highly desirable Rivergate apartments, The property is offered furnished and is available from 03/05.